After reading women’s fiction for many years, Joyce knew she wanted to create her own stories. As the mother of four grown daughters, she’s familiar with the problems women face finding love, raising children, and stepping back when necessary. All her books place an emphasis on love and family dynamics. She is happiest when she’s secluded in her office creating new worlds and people to populate them. When she’s not taxing her brain with plot, structure, and grammar, she likes to sew, particularly quilts. When she really wants to rest her brain, she sprawls out in front of the TV and tries to stay awake. 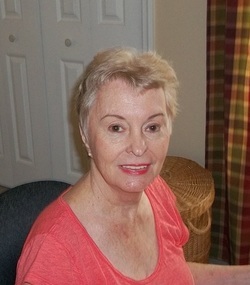 Please visit her website, www.joycedebacco.com for more information about her books. Lily’s life isn’t going well. Her husband is clueless; her children are rudderless. 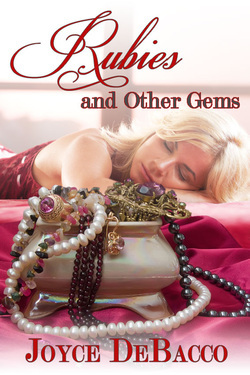 It's little wonder she seeks comfort in her dreams, unaware that her grandmother’s rubies have transported her back through time to a safer, saner existence. When she learns that her dream lover is not a dream after all, but a real man who lived and died years before she was born, family problems mount. 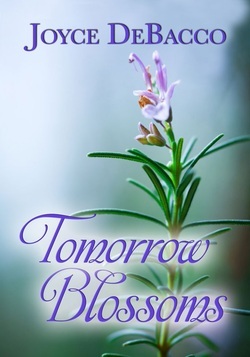 Because she can’t repair the damage from the past, she vows to stay in the here and now. She almost succeeds when she accidentally sends herself back in time without her return ticket, the rubies. Sylvie was a pleaser. She did as her mother pleased, and she did as her fiancé pleased. Then she did as she pleased. Determined to take back her life, she heads to the hills instead of to the altar on her wedding day. Coming across a quaint, country inn with an intriguing name, she impulsively checks in. Peopled with an odd assortment of characters, the inn has clearly seen better days; even the regulars have a bit of wear on them. Thus, when Alex arrives and is strangely comfortable vacationing among the geriatric set, Sylvie is suspicious. Not until she's hired to manage the inn does she learn he's not the businessman he purports to be, but a streetwise PI hired by her ex to find her. Adding insult to injury, he buys the inn and asks her to help restore it to its former glory, not an easy task with someone sabotaging their efforts. Stuck in a small Southwest Florida town before and during the land boom of the twenties, young Dinah’s dream of ever leaving seems doomed when she finds herself pregnant by an unscrupulous, older man. Zach also has a dream. He wants to be his own man, go his own way. But when tragedy strikes Dinah’s family, his soft heart won’t allow him to walk away. 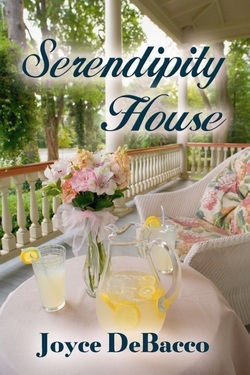 When Tyler, an ambitious land developer, offers to buy Dinah’s riverfront property, her dream is revived. Although Zach abhors the selling of paradise for a quick buck and tries to change her mind, his main fear is losing Dinah. 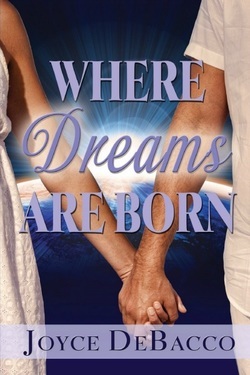 Tyler ups the ante by proposing, and Dinah is forced to choose between a man who can make her dream come true, or a man who’s been there for every joy, every sorrow in her life. Sadly, she chooses the dream. Years later, the stock market is soaring, Tyler’s the wealthiest man in the county, and Dinah’s had it up to her jewelled earlobes with the grand life. Then Tyler and Zach decide to enter politics, and she has another choice to make. Will she support the candidate who wants to further develop the sun-kissed coast, or jeopardize her marriage by supporting the one who wants to preserve it for future generations? The boy, now a man, is also wary. Who are these people who suddenly want him to be a part of their lives? Where were they when he was growing up, when he needed to feel a part of something bigger? After everyone meets each other, their fears dissipate. Then Ward passes away unexpectedly. Although devastated, Kate is thankful he never knew the truth. Facing the rest of her life alone, she returns to work in the company he founded. She’s still coming to grips with life as a single when she learns her son was adopted into the family of Jesse, the boy who turned her away as a pregnant teen. Sometimes we wish we could stop the clock and rewind time. Maybe to savor a happy moment, take back words spoken in haste, or fulfill an ambition. Other times we want to turn the clock ahead, hopeful of better times or fortunes. 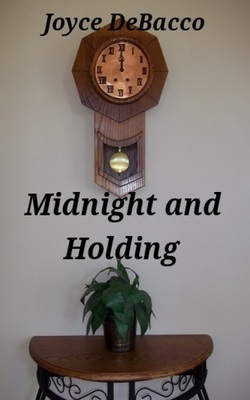 Midnight and Holding is a collection of short stories reflecting those desires. It was supposed to be a win-win situation--a safe environment in which to raise a son for single mom Vicky, housekeeping and childcare for widowed Jack. Neither one wants or expects anything more. Life, however, has more in store than either one imagines. When Jack learns his best friend fathered Vicky's son and now wants partial custody, he feels threatened. He's come to care deeply for both, and doesn't want to lose the family they've become. In desperation he offers a radical solution--marriage. Vicky knows she can do worse than marry Jack but wonders how successful their marriage would be when its only reason for being was to keep from losing her son. Add to this a troubled child with a secret about her dead mother and a former foe bent on revenge, and complications abound.